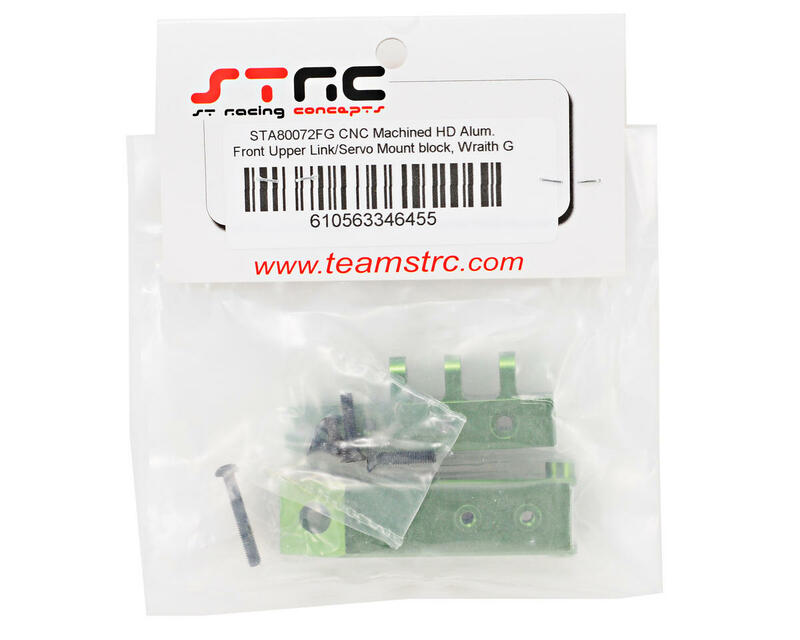 This is an optional ST Racing Concepts CNC Machined HD Aluminum Front Servo Mount Block with Upper Link Mount, and is intended for use with the Axial Wraith. 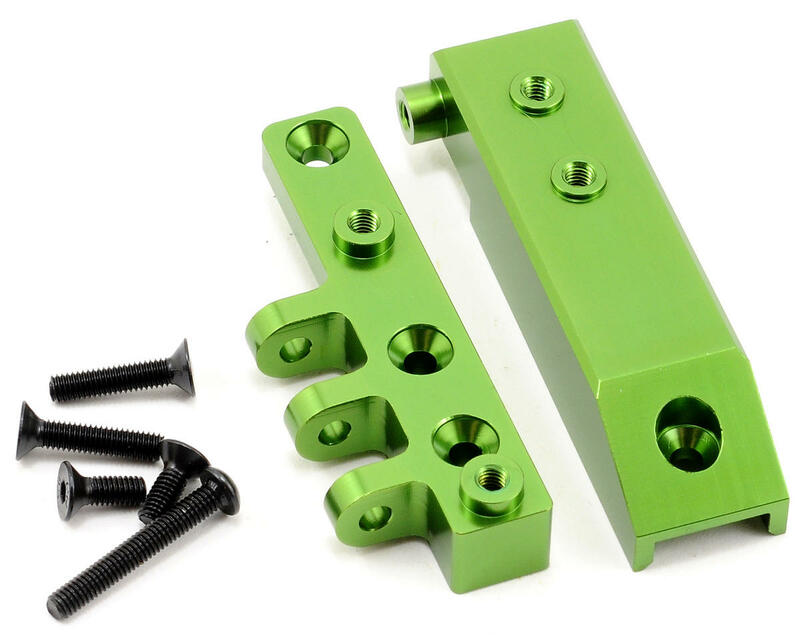 This aluminum front upper suspension link mount block features a two piece design that increase durability for the front upper suspension mounting point and also adds great looks on the Wraith’s axle. The front block is also the mounting block for the servo and provides a solid foundation for the steering servo.